George Cloonet and Meryl Streep lend their voices to this hilarious and heartwarming animated adventure from director Wes Anderson. Mr. and Mrs. Fox (Clooney and Streep) live a happy home life with their eccentric son Ash (Jason Schwartzman) and visiting nephew Kristofferson. That is until Mr. Fox slips into his sneaky, old ways and plots the greatest chicken heist the animal world has ever seen. 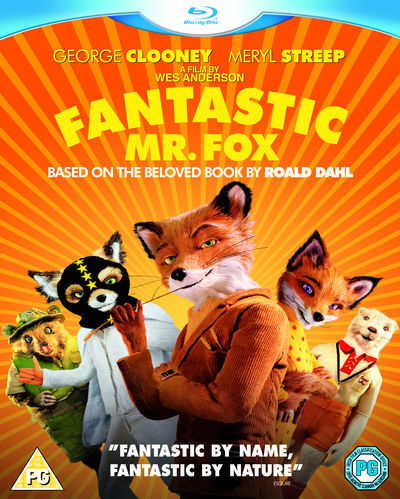 Based on the beloved, best-selling book by Roald Dahl (Charlie and the Chocolate Factory), Fantastic Mr. Fox is family fun at its very finest. 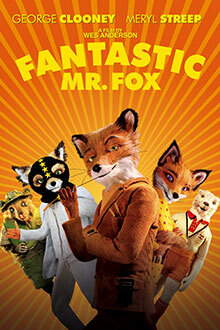 This edition of Fantastic Mr. Fox also contains a Blu-Ray, DVD and a Digital Copy of the film, for you to enjoy this film wherever you want, whenever you want!